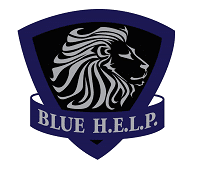 Officer Christina Splaine - Blue H.E.L.P. “Thank you for caring about my softball career and sharing your knowledge with me. You were one of the coolest people.” These are the words of a high school student who Officer Splaine connected with during her job as a school resource officer. Reading the comments from students we can all appreciate the impact she had on such young and impressionable students. Aside from working in the capacity of a police officer with students; off duty she was a field hockey coach; once again positively influencing so many young minds.